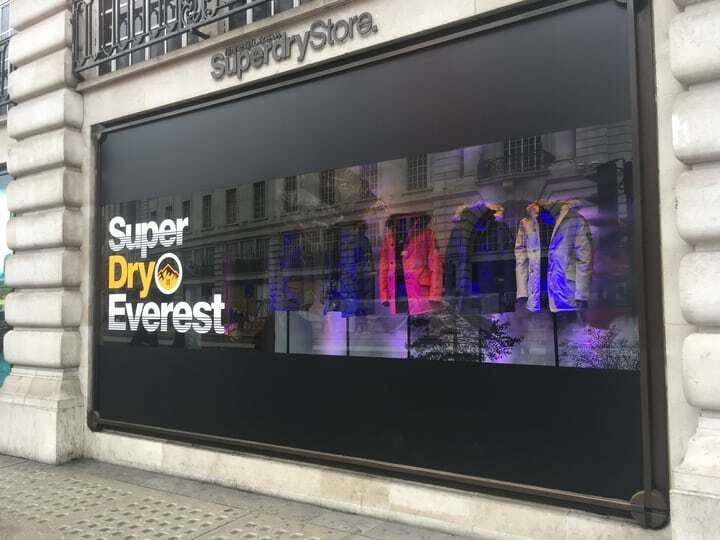 Just a quick trip to London this week to install a temporary retail lighting system for Superdry on Regent Street. The Tarren team of elves set off early to install a low power LED lighting system with thousands of colour options to light up the winter range in the windows. Adding colour and depth to the fashion brands mannequins was achieved through a programmable system, via blue tooth, and the store staff were left with a really simple note pad system for all the changes and controls. It really was a simple one touch outcome to enliven the retailer’s flagship stores windows. The winter range now looks warm, bright and colourful and we welcome the opportunity to work again with Santa’s favourite retailer.